Wii Adapters are there to accelerate the gaming experience. The Wii MotionPlus Adapter for the remote is a device that will improve the accuracy of motion. This will allow more accuracy when the player is playing the Wii, thus enhancing the gamer’s experience. Other Wii Adaptors are the LAN adapters, replacement Power Adapter and the Memory Key SD Card/Adapter for Wii. The Memory Key Adaptor allows gamers to convert backed up games and also allows the gamer to play GC games. Connect up to three (3) game consoles or DVD players to your TV. This is really good for older televisions with limited video connections. 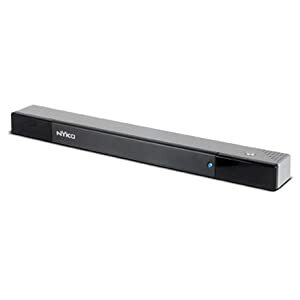 Works with Wii, Xbox360, PS3, DVD & VCR players. 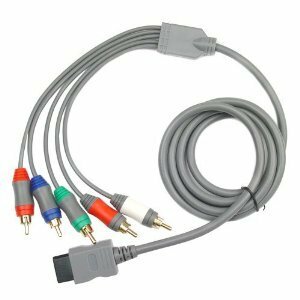 Are you tired of unplugging the DVD video/audio cables from the back of your TV to play your Wii? Is your grandma still rocking a VCR and just got a Wii for Christmas, but her TV only has 1 RCA input? Connecting the Wii MotionPlus to your existing controller gives you increased accuracy and enahanced play control with games that support the Wii MotionPlus. WiiMote controller sold separately. Are you pimping out your ride or going on a long road trip and you must bring your Wii? Here's the car charger adapter for the Wii. Connect your Wii to HiDef televisions. This is a component-video connection from Wii to TV. It will allow your Wii to run in its highest resolution: 480p. This is the official Nintendo Wii power adapter. Works with any 110-volt outlet. If you're streaming videos to your Wii and WiFi just isn't cutting it, then here's your solution. This high-speed USB 2.0 LAN connector will allow you to hook up to the internet via RJ45.